Audi’s open-top supercar brings you one notch closer to that sonorous V10 engine that gleefully performs its greatest hits, on demand, just behind your left ear. If you can't (or don’t want to) reach up the V10 Plus derivative, the Spyder is the best alternative. For something wilder – The Jaguar F-Type SVR Convertible is not a mid-engined supercar, but it offers a wilder ride and emits fruitier pops and bangs. 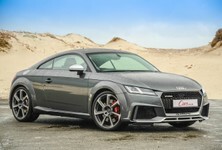 Bear in mind it’s more powerful than the Audi, accelerates just as quickly and, somehow, costs R650k less. For something with more pedigree – The Porsche 911 Turbo Cabriolet PDK costs the same as the R8 Spyder, but isn’t going to give you the same aural stimulation and doesn’t really give the best of what the 911 package has to offer. For the newest entrant – The Mercedes-AMG GT C Roadster is the newest addition to this club. 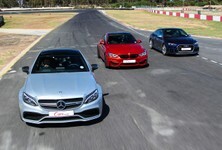 The Benz is powered by a stonking engine, but its handling can be a little wild if you don’t have your wits about you. The R8 V10 is closely related to the Lamborghini Huracan Spyder, and barring trim differences and body style, they are near-identical. 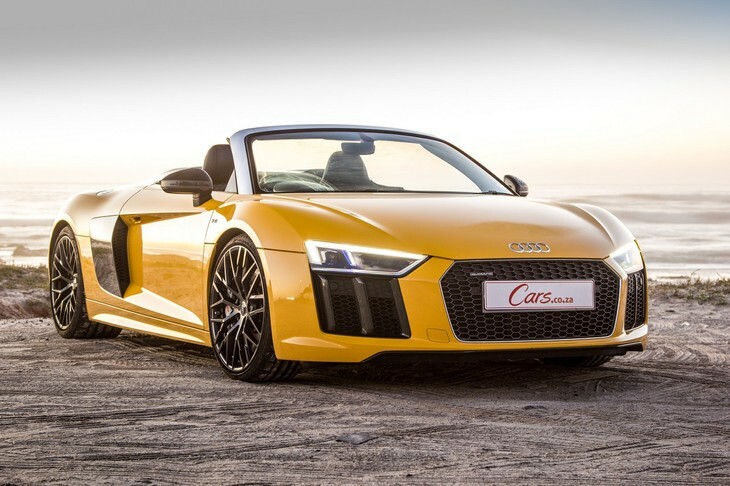 For this version of the R8 V10, Audi has included the much-loved S-Tronic dual-clutch transmission, as well as a new differential that’s capable of sending 100% of its power to the rear wheels. 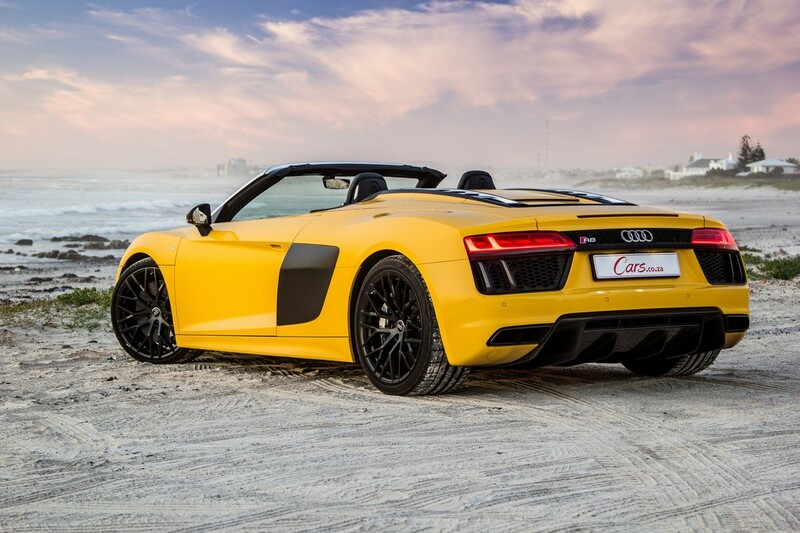 It’s still primarily an all-wheel-drive car, but the adjustability of the V10 Spyder's diff will in all likelihood entice buyers that have previously berated Audi's supercar for its tendency to understeer at the limit and its safety-first handling characteristic. Still an eye-catching design, although arguably not different enough from its predecessor. 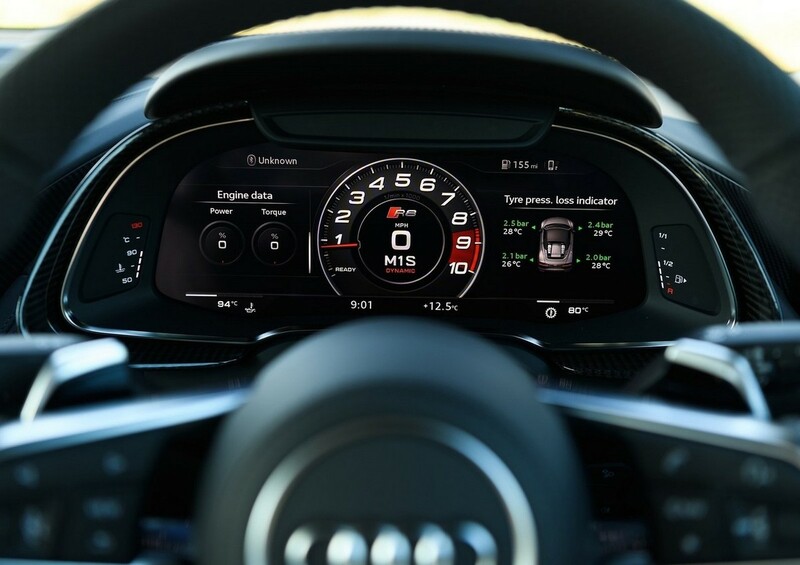 The newcomer's interior is a masterclass in Audi minimalist design, where all the pertinent information is displayed on the Virtual Cockpit (all-digital display) in the instrument cluster with a plethora of buttons/toggles mounted on the steering wheel. This makes the steering wheel a little cluttered, but the buttons mostly stay out of the way when you’re wielding the wheel from side to side with zeal. 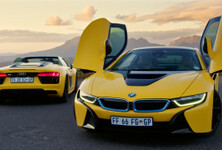 The best way to enjoy the V10 engine? With the top down and at 8 000 rpm. With the top down (it can be dropped in around 20 sec, at speeds of up to 50 kph), the sound is enhanced more vividly compared with the coupe. Even with a cold chill in the air, the urge to drop the roof on a good road is hard to resist. 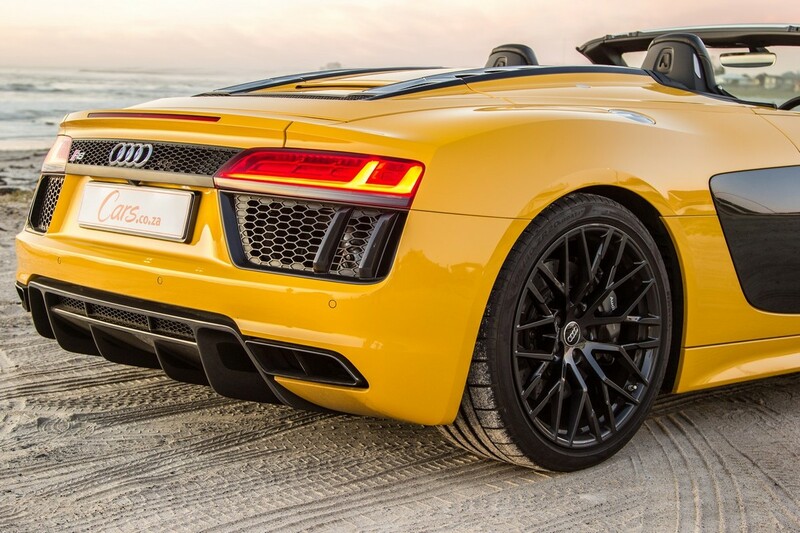 Crank the heater up a bit, fold the roof down and bask in the glory of a super responsive, naturally aspirated V10. Oh, we have missed such linear power delivery and a lanky rev range in modern turbo engines! 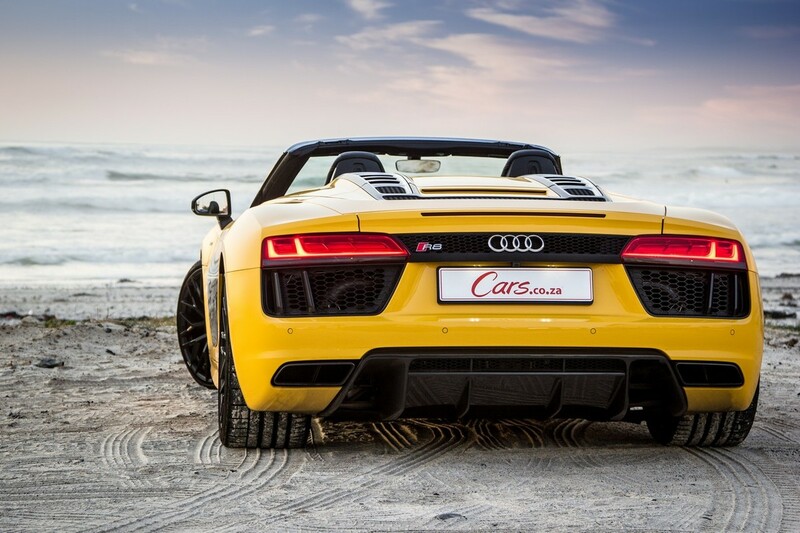 When the Audi R8 arrived back in 2006, it changed the way we thought about top-end sportscars/supercars... They could be fiendishly fast, but comfortable in traffic and capable of cresting speed bumps without graunching the car's nose. The new model retains that inherent ease of use. With a couple prods of the Drive Select button, the R8 can be shuffled from an apex-hunting, corner-hugging machine to something with which you can potter round town. The ride is never going to be as good as the R8's more practically packaged siblings, but it’s entirely easy to live with. 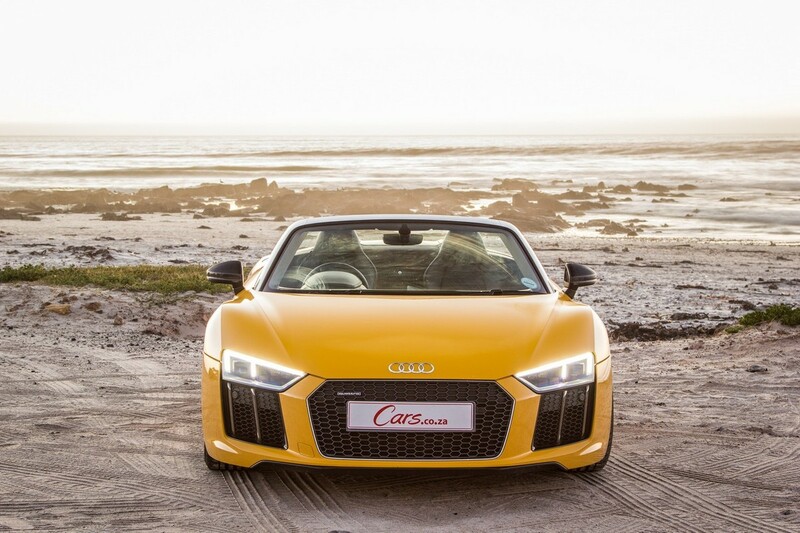 The R8 has a brilliant way of adapting from mountain pass slayer to inner-city trundler with consummate ease. 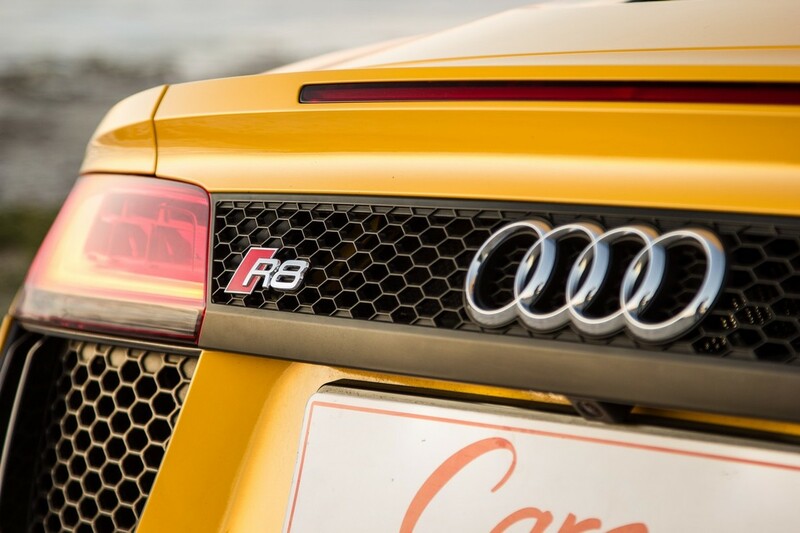 The talents of the R8 are accessible, even to those who don’t own a race suit and fireproof undies. It doesn’t feel like it’s about to snap into oversteer or run out of grip. You can push on with confidence and, with the top down, it all feels faster as the wind buffets you. The cabin remains relatively quiet at speed and you can have a conversation without having to raise your voice to a yell. The engine noise is way louder than the wind ever gets! As we discovered with the Lambo Huracans, the roadster driving position does not seem to allow the driver’s seat to go as far back as it does in the coupe. This is probably because the roof is stored behind the driver and in front of the engine. 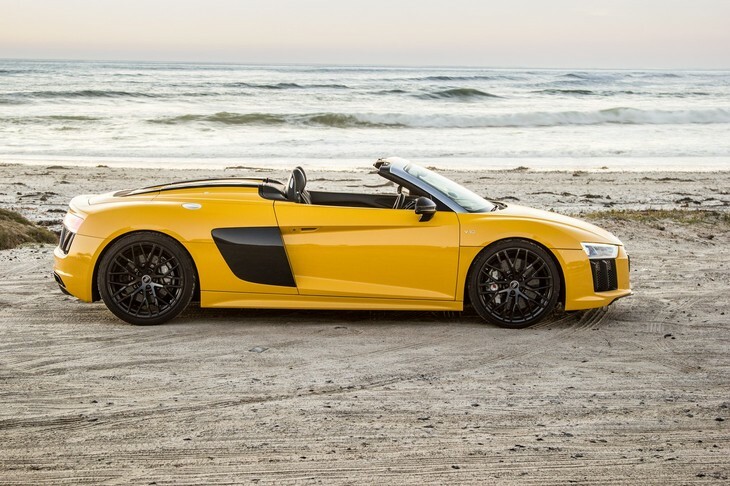 If you’re 6ft (183 cm) or taller, your legs are going to have to be bent more than you’d like, which is a pity, as the Spyder is probably the best version of the R8. Audi interiors are almost always exceptional. 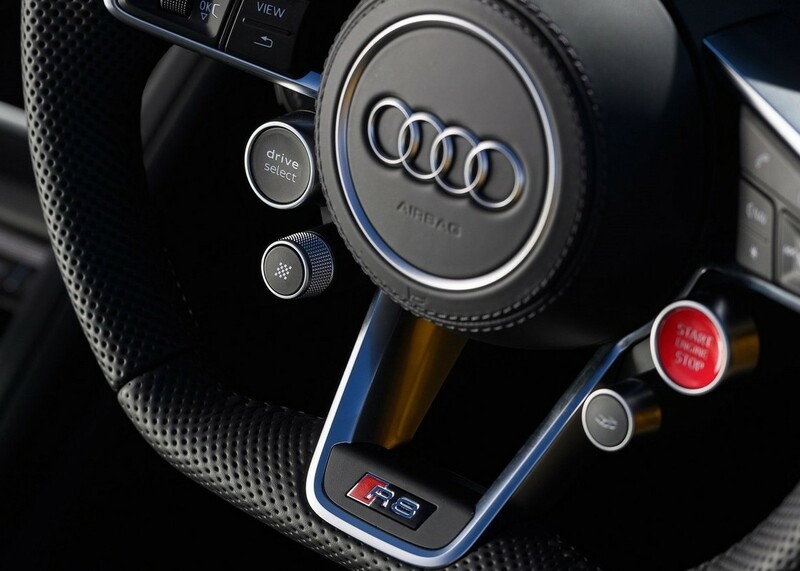 The R8's is exquisite, bar the cluttered steering wheel. 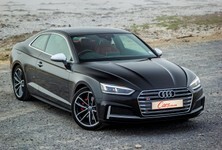 The previous generation R8 may have been much loved and -respected, plus moved the sportscar game on significantly, but the price of this new model is staggering, to put it bluntly. 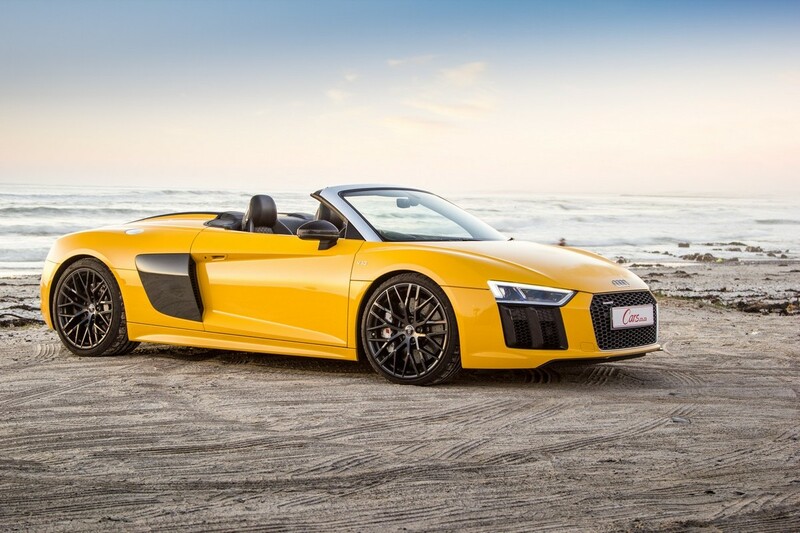 The Spyder starts at R2.9 million before options and you can quite easily spend R200k-500k on options if you want bigger wheels, racing seats, performance steering wheel and ceramic brakes. The competition all seem to be considerably less money. 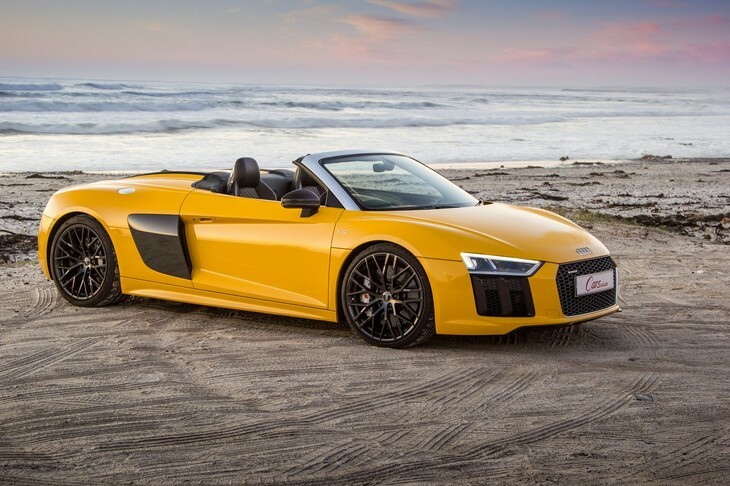 The R8 Spyder can no longer claim to be one of only a handful comfortable or easiest-to-live-with supercars. 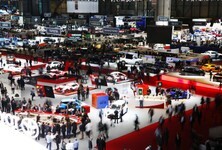 The likes of Mercedes-AMG and, to a lesser extent, Jaguar and Porsche have joined the "can do it all sportscar" ranks. What it does have is an easily accessible thrill zone. It’s not scary like a 400 kW sportscar can be, it’s not intimidating to hustle around a tight mountain pass and it excels on open, sweeping roads. The levels of balance and driver involvement are just right for a mainstream sportscar and the ravishing (top-down) look is unlikely to disappoint onlookers. 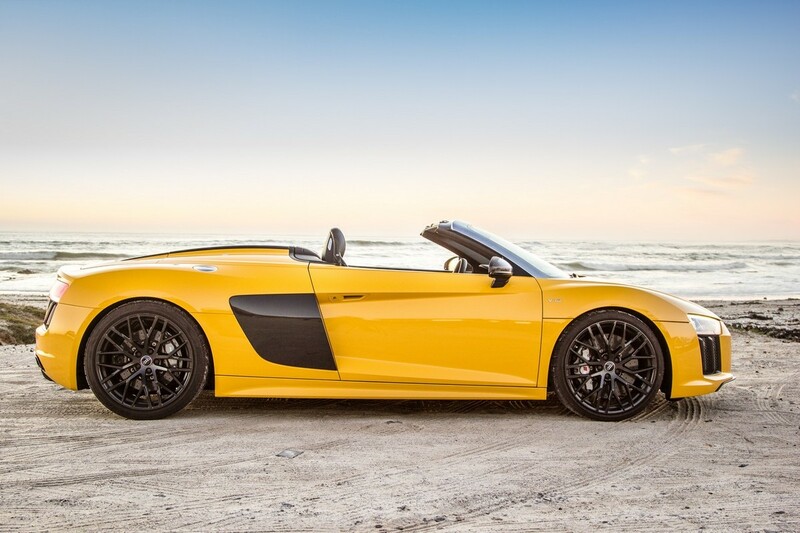 Moreover, the big trick up the R8 Spyder’s sleeve is its engine: the 5.2-litre V10 makes life with the roof down a bucket list event every time you let the motor spin merrily to the top end of its rev range. Nothing sounds quite like it (bar the aforementioned Huracan of course) and the soundtrack is unfettered, unlike the synthesised pops, crackles and bangs that are the calling cards of the turbocharged brigade. It’s certainly not worth an extra R500k over the hard top in most people’s books, but if you’re playing in the R3-million price frame for a car, you’re likely unconcerned with the purchasing cost and more likely to pick the car that prompts outbreaks of goosebumps with the most alacrity. Searching for a used R8?